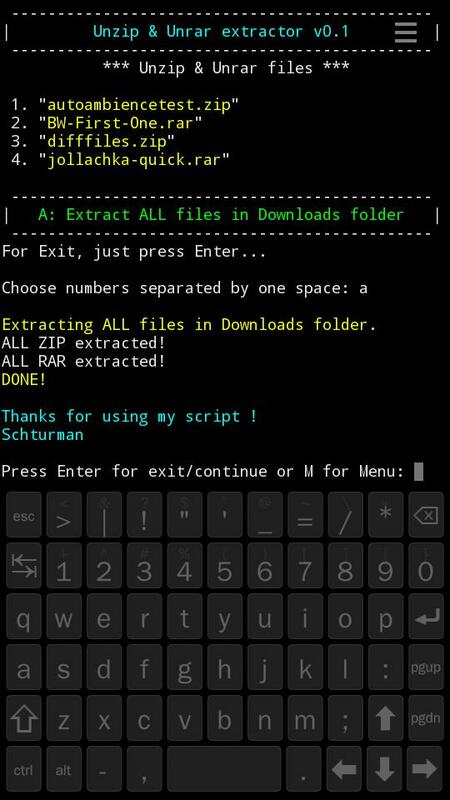 This is small app for extracting ZIP and RAR files (see pics). DEVELOPER mode is required ! Dependencies: unzip and unrar packages. 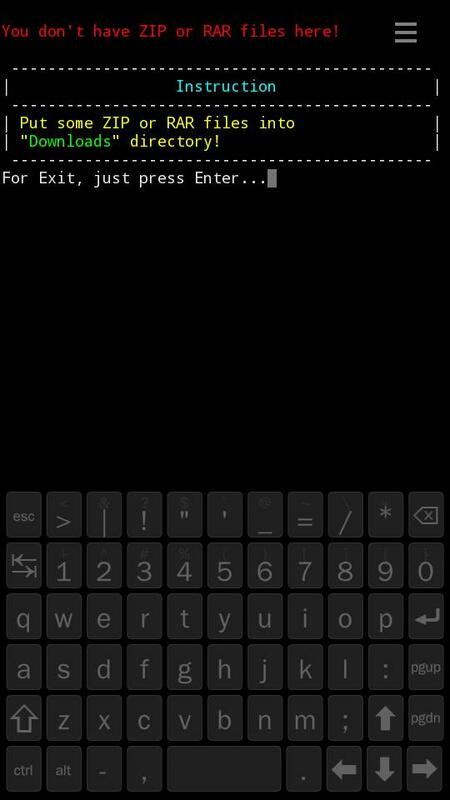 Will be installed automatically during installation (unrar from my repo). App will read "Downloads" folder ONLY and will show only 5 first archives in the alphabetical order (RAR and ZIP together). 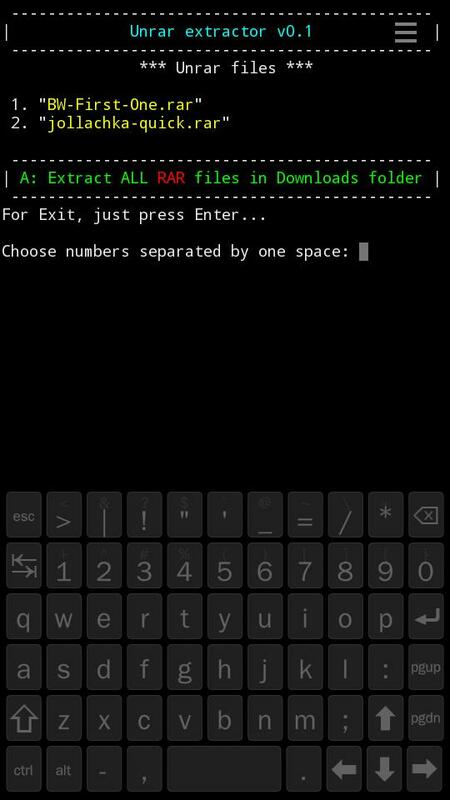 You can extract few files in one shot by choosing numbers separated by one space. 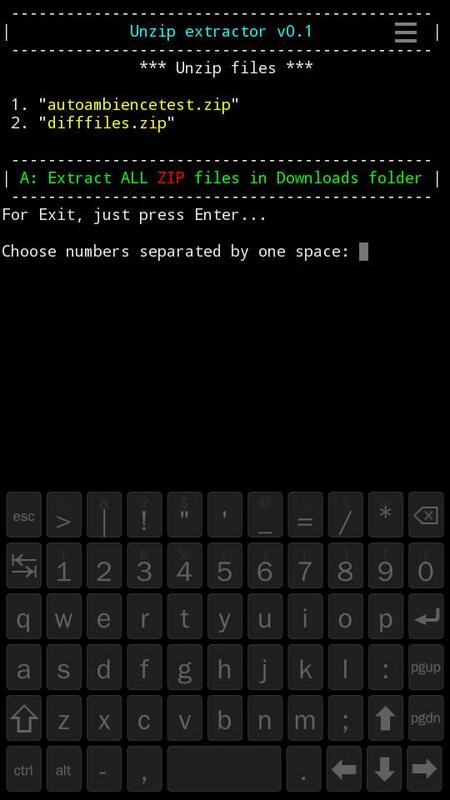 Or you can choose letter "A" and it will extract ALL zip or rar (or both of them) files in "Downloads" directory to "ZIPRAR_extracted" folder (/Downloads/ZIPRAR_extracted). * unrar and unzip commands have "override" flag. 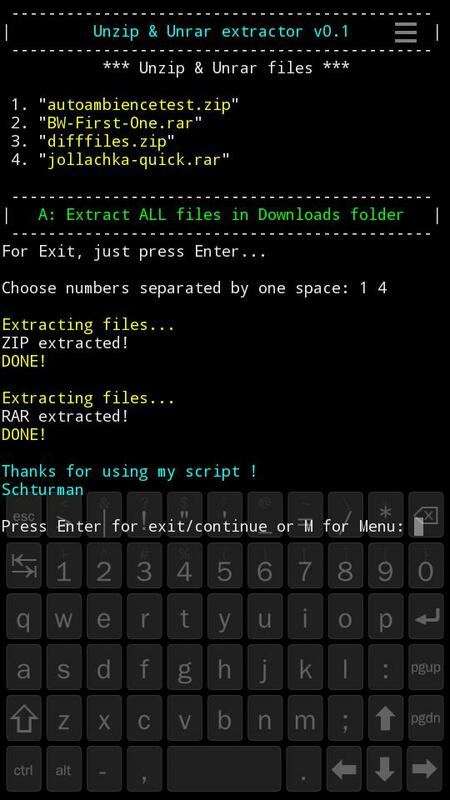 If you twice extracts the same archive, it will override the previous extraction.